Khaman Dhokla is from Gujarat’s glorious cuisine . Dhokla and Khaman are two different but similar looking recipes. Khaman is made up of either fresh ground chana dal or chana flour / besan flour where as Dhokla is made up of fermented batter of rice and lentils . As Khaman looks similar to Dhokla , it is often referred as Khaman Dhokla . This instant Khaman Dhokla not only tastes heavenly but are light on tummy too. It makes a great and healthy option that can serve as any time snack. These yellow spongy ,fluffy , savory steamed cakes has medley of taste . It is mildly tang with a light sweet tone and that heat from chutney makes it truly delicious. This Instant Khaman is my personal favourite because of 2 main reasons , one being its a healthy delicious snack and other being its very easy to make with no fancy ingredients. Tips and Tricks : For making a fluffy Khaman , I use little yoghurt . For vegan option you can skip yoghurt and use lemon juice . The main tip to get the perfect spongy Khaman is to beat the batter well . If more air is incorporated in the batter then the resulting Khaman will be soft and airy. As this is a instant Khaman recipe , I have used eno salt to make it soft and fluffy . Once eno fruit salt is added, evenly mix the salt, quick and briskly but don’t beat the batter much. Immediately pour to prepared greased tin and steam it right away . If it sits long outside then khaman will not rise much and will be flat. Temper these nylon khaman with Mustard seeds , Sesame Seeds, Green chillies , Curry leaves and serve with Green Chutney . You can garnish with coriander leaves and grated fresh coconut . Khaman Dhokla is a soft and fluffy , savory steamed cake made from gram flour is a popular snack from Gujarati Cuisine. In a mixing bowl , take besan /gram flour , salt , sugar , hing , 2 tbsp fine sooji ,pinch of turmeric powder, ginger green chilli paste . Add 2 tbsp of yoghurt or add 1 tsp of lemon juice. Now add 3/4 cup - 1 cup water , add water part by part and beat. Beat the batter well , batter should be thick but of spoon dropping consistency. Now keep the steamer ready , add water to steamer and let it come to boil . Whilst grease the steamer pan / dhokla plates / idli plates or moulds and keep it ready. Add 2 tsp of eno fruit salt to the batter and quickly mix well everything evenly. If there is no eno salt use 1/2 tsp of baking salt. Now pour in the batter to prepared greased plates/tin , arrange them and steam it . If using a entire batter in a single tin ,then steam for 18-20 minutes . If using dhokla plates , then steam for 10-12 minutes. Once steamed , give 5 minutes standing time and then remove . Loosen the corners with a knife and invert it on a plate. Cut into squares. In a bowl take sugar and 1/3 cup of water, let sugar dissolve. For this add 1 tsp lemon juice and set it aside. Meanwhile prepare the tempering, Heat 2 tbsp of oil in a tempering pan, add mustard seeds once it crackles , add jeera , sesame seeds , chopped chillies and curry leaves. Now pour the tempering over the precut khaman dhokla. Allow it to soak the sugar syrup . Add in prepared sugar syrup carefully and bring it to boil. 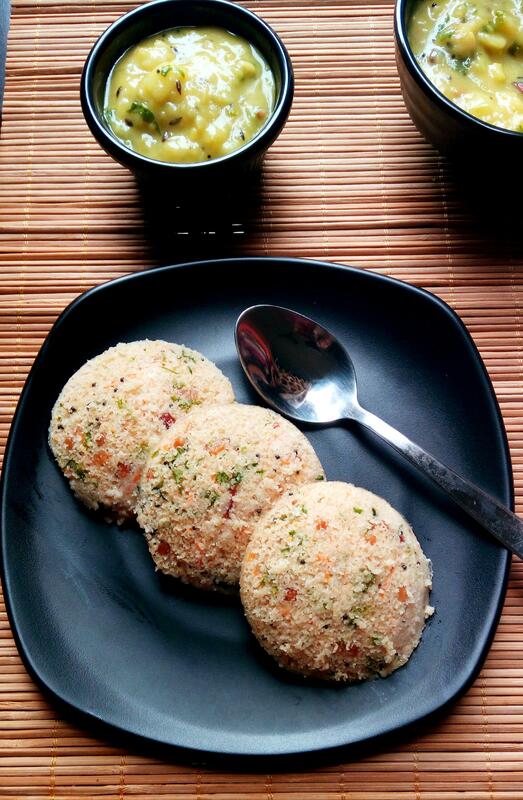 Garnish with coriander leaves, grated fresh coconut (optional) and serve it with coriander mint chutney. Add plain Eno or fruit salt . If there is no fruit salt add 1/2 -3/4 tsp of cooking salt,but not more. Cooking time varies depending on the container , in which you are cooking. If all the batter is placed in a single tin ,it takes more time to cook when compared with lesser batter in separate dhokla plates. Once after mixing the fruit salt well , without any delay pour batter to tin and cook immediately. In a mixing bowl , take besan /gram flour , salt , sugar , hing , 2 tbsp fine sooji ,pinch of turmeric powder, ginger green chilli paste. Add 2 tbsp of yoghurt or add 1 tsp of lemon juice. Now add 3/4 cup – 1 cup water , add water part by part and beat. Beat the batter well , batter should be thick but of spoon dropping consistency. Just like cake batter. Now keep the steamer ready , add water to steamer and let it come to boil .I use pressure cooker without vent to steam. Whilst grease the steamer pan / dhokla plates / idli plates or moulds and keep it ready. Now pour in the batter to prepared greased plates/tin , arrange them and steam it . If using a entire batter in a single tin ,then steam for 18-20 minutes . If using dhokla plates , then steam for 10-12 minutes. Check for its doneness by inserting a toothpick or knife as we do for cake. Meanwhile prepare the tempering, Heat 2 tbsp of oil in a tempering pan, add mustard seeds , jeera , sesame seeds , chopped chillies and curry leaves. Add in prepared sugar syrup carefully and bring it to boil. 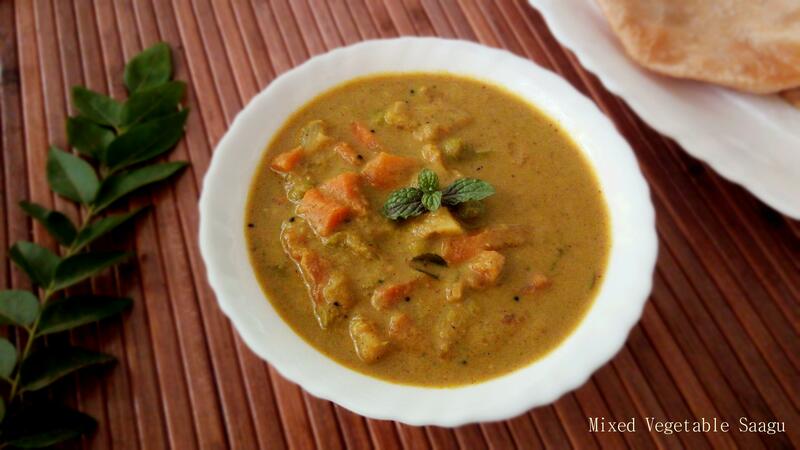 Garnish with coriander leaves, grated fresh coconut (optional) . Serve it with coriander mint chutney.